Based on the popular Microsoft videogame. 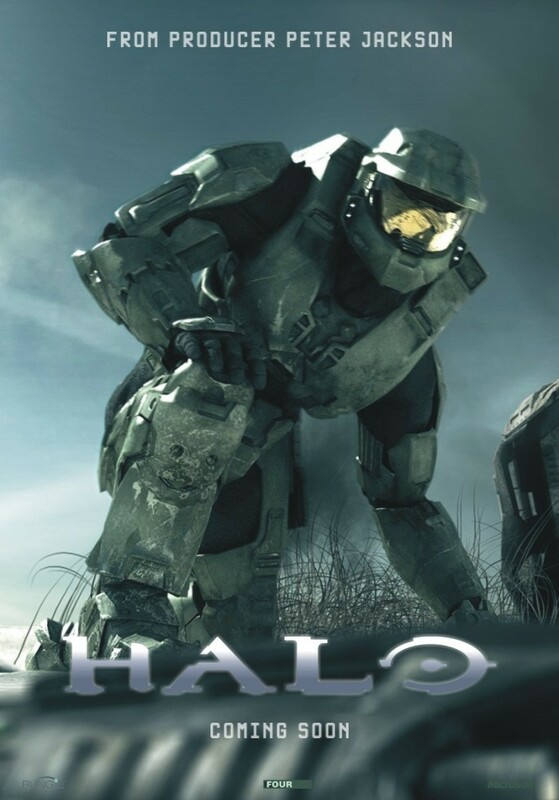 After they crash-land on an artificial ring-world called Halo, a navy captain, his surviving marines, and a chemically-and-surgically-enhanced super soldier named John-117 "Master Chief" must find out what the Covenant, the genocidal alien race they are at war with, are looking for on the ring. However, Halo holds more secrets than either side imagined. This movie has been officially cancelled due to cost considerations. At one point it was to be directed by South African-born Neil Blomkamp and produced by Lord of the Rings supremo Peter Jackson. Blomkamp directed that famous dancing robot Citroen ad, and Halo was to be his first movie. The script (already completed) was to be by Alex Garland, of Sunshine and The Beach fame. Blomkamp has in the meantime moved on to another project titled District 9 which he is currently filming in his native South Africa, while Jackson is going to produce a two-movie version of Tolkien’s The Hobbit. As was previously confirmed, we deeply regret that both Universal and Fox did not choose to move forward with financing the Halo film under the original terms of the agreement. At this time Peter Jackson and Fran Walsh, along with their partner, Microsoft, have mutually agreed to postpone making a feature film based on the Halo video game universe until we can fulfill the promise we made to millions of Halo fans throughout the world that we would settle for no less than bringing a first class film to the big screen. We are fully supportive of Director Neill Blomkamp's vision of the film. 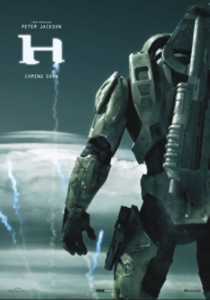 Neill is a tremendously gifted filmmaker and his preliminary work on Halo is truly awe-inspiring. While it will undoubtedly take a little longer for Halo to reach the big screen, we are confident that the final feature film will be well worth the wait. Since then there has been no word on the film being resumed. However with the Halo games being the money-spinners that they are, don’t expect that Hollywood has completely buried this project. After all, Halo 3 holds the record for the highest grossing opening day in entertainment history, making US$170 million in its first twenty-four hours. Worldwide more than US$300 million worth were sold in the first week, helping to more than double the sales of the Xbox 360 when compared with the weekly average before the Halo 3 launch. So don’t be too surprised to see a Halo movie being rushed into production if Terminator-director James Cameron’s similarly-themed Avatar is a box-office success . . .
Join our Facebook group today and get all the latest sci-fi news & rumors daily!